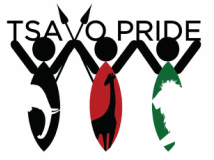 Tsavo Pride are currently seeking funds or donations of Lab equipment and consumables to rural medical dispensaries in the locations of Mahandakini and Ndillidau. Both facilities currently lack and diagnostic aids meaning for effective treatment of illness patients are forced to travel long distances, or face being misdiagnosed and mistreated. Items such as microscopes, centrifuges, HB machines, fridges, glucometers, various test kits and antisera's are urgently required. Please contact us for further information. Update: Mahandakini Lab Supplies now fully funded! Through partnership with the Ministry of Public Health and Sanitation's Taveta Office, we have assisted with the construction of sinks and furniture in an existing room at the Rekeke Dispensary, we then provided essential lab equipment and enough supplies to last them for 3 months. A lab technician has been provided by MOPH and ongoing supplies will be acquired using proceeds from the dispensaries service charter fee's making the project fully self sustainable. Patients were previously refered to Taveta Hospital (15kms walk) or Mata Dispensary (6kms walk) for Labrority for testing for conditions such as HIV, Maleria, Amebic Dysentery, Typhoid among other things. Poor health, lack of transport and fear of meeting Elephants on the road ment that most patients opted not to be testing, making treatment less effective. The Dispensary currently serves around 600 patients per month, however it is expected that this number will increase as more people opt to be treated here due to availability of accurate diagnosis.